« RINO with a Bow-Tie? This entry was posted on Sunday, September 18th, 2011 at 14:35 and is filed under Culture. I’ve been a fan of racing and aviation all my life. Since the first time my father took us to see an airshow at Niagara Falls, I have been hooked. I even dabble in model aviation(remote control) when my scarce time permits. While the horrendous events of Friday at the races in Reno are fresh in our minds, there are those critics who complain about the obvious dangers associated with this sort of high-speed, high-risk endeavor, and while it is true that there is an inescapable element of danger in any event where man and machine circle a course at high speeds, we shouldn’t react as media would have us do, with calls for bans on the sport. When a race-car crashes, we do not call for all racing to be banned. When a space shuttle burns up on re-entry into our atmosphere, we do not call for an end to manned space flight. Instead, we honor those who have died, and grieve for them and their families, in recognition of the fact that our existence here is temporary, and it is those who push the envelope who pull us along behind them. The catastrophe in Reno, Nevada was horrific. All reports speak to a scene of carnage, but also from those reports there may be gathered something almost as important: The outcome could have been far, far worse. By many accounts, it seems the pilot’s last moments were devoted to an attempt to steer his stricken plane away from the crowds. The violence of the collision with Earth was so great that the airplane completely disintegrated, creating a whirlwind of high-speed debris that sliced through anyone in its path. 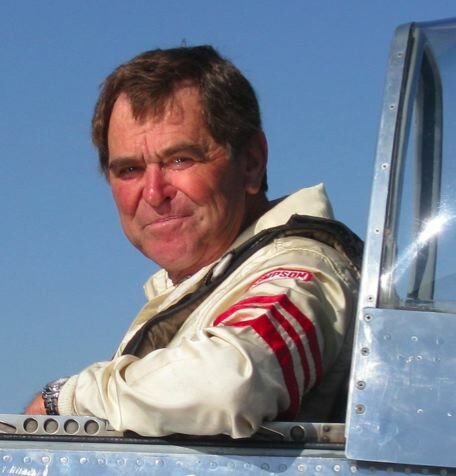 Pilot Jimmy Leeward, 74, was killed along with at least eight others, all spectators. The reports of injuries are gruesome, and it’s no small miracle that the number of dead and seriously injured hasn’t been far worse. Witnesses who were nearby the crash have told harrowing tales of a wreckage consisting of plane and humanity, propelled through the air as if by a tornado or a bomb blast. The Air Races at Reno have been a constant feature of Americana since 1964. These races have always had an element of danger, as airplanes are pushed to the point of breakage, and the skills of those who pilot them are challenged in the extremes of competition. There is always danger. When you get in your car to go to work, or place your children on a school-bus, or sit in your office on the eighty-fifth floor of a high-rise building, there is always danger. It is danger that often brings out the best and worst in us, and it is danger that drives us to improve our lives, but we should never make the common mistake of letting danger prevent us from advancing. We are told daily of the dangers of a juicy hamburger, the dangers of tobacco, or dangers of a sedentary lifestyle. We’re beset with warnings about every conceivable danger great and small, extraordinary and commonplace, and yet we go on about our lives not cowering and cringing because of them. I won’t presume to tell anybody else how they should feel about all this, as it was a terrible event, and I know my readers join me in sending our prayers and condolences for the injured, the dead, and their families while we grieve for all that has been lost. A short while ago, a friend provided me a link to a thoughtful blog article written some time ago, but I think it reached the wrong conclusion, at least from my point of view. The author suggested back in 2005 that airshows hurt aviation. I understand the thinking of the author, and there is some wisdom in it, but I fear he’s missed something as he explains his thesis about how these accidents hurt aviation: Most airshows go off without a hitch, and most of them entertain large crowds who are made to understand the inherent risks of flying. Often, for the young people who attend, it serves as an enticement to learn more about aviation. That’s certainly the effect it had on me, and it’s been a love of mine through all my life. When I was a child, there was no chance that I would see any form of aviation from inside a flying airplane, and I understood that as a fact of our economic reality. It was left to me to marvel at them from the stands, or from my yard as the commercial planes approached the nearby airport. The only form of aviation my family could afford during my youth took the form of folded paper, perhaps some rubber-powered balsa contraptions, and books to study the field. I built many static plastic models, to be suspended by fishing line from the ceiling in my room, wistfully day-dreaming of being a pilot. For millions of children like me, who went to their first airshows and many more without any mishap at all, the awesome performances of the pilots and their planes taught us a deep and abiding respect for a vocation that was out of reach for many. I took my own daughter. She learned to fly remote control planes. We still go to airshows together when time permits.